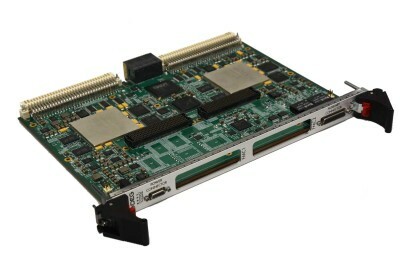 The VC6 is a VME/VXS dual FPGA board that delivers high bandwidth I/O capability at a competitive price. DEG engineers have designed the VC6 to enable single or dual FPGA configurations for a broad range of Xilinx Virtex-6 FPGAs: LX240T, LX365T, LX550T, SX315T, or SX475T. To enable maximum configurability and performance, the VC6 contains two fully connected VITA 57.1 FMC sites. When coupled with DEG’s portfolio of high speed ADC and DAC FMC products, the VC6 delivers superior analog performance and powerful digital signal processing capability that can be ruggedized for deployment in-theater. This product is ideally suited for high performance ELINT, SIGINT, EW, RADAR, and LADAR applications.